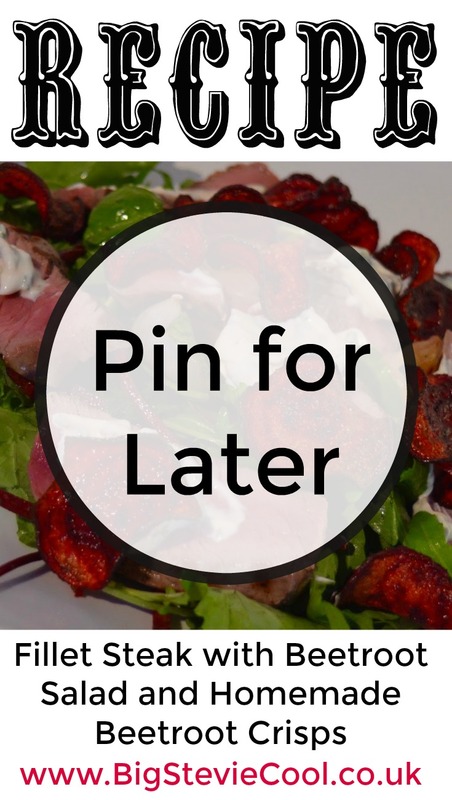 This delicious summer salad should be served cool. If you like steak but don't want a meal that is too heavy this is a tasty alternative to the usual steak n chips. 1 bag of salad leaves. 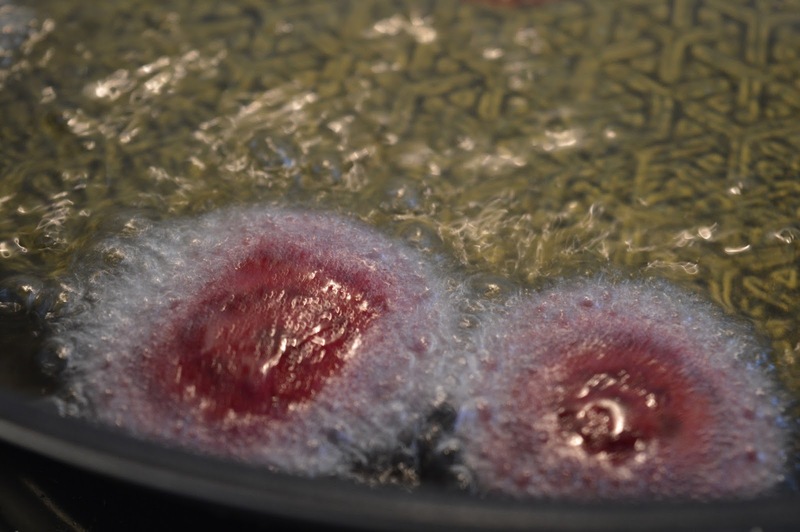 Start by putting a wide based pan on a high heat and fill with around 2.5cm of vegetable oil. 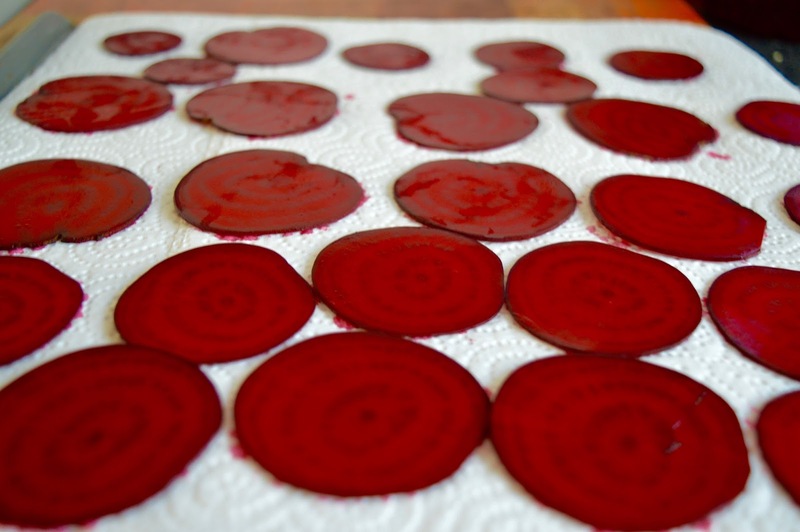 Next slice one of the beetroots into rounds, I used a mandolin on the lowest setting the get super thin slices. Place these on some kitchen roll on a baking tray and dab with another sheet of kitchen roll until dry (these will be used to make your crisps at the end). 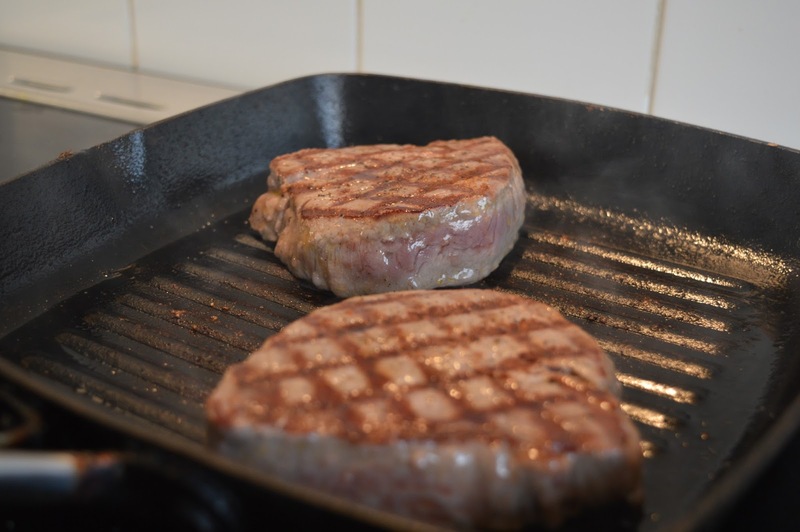 Next put a griddle pan on a high heat, coat your steaks in oil and season with salt and pepper. Once the pan is hot put the steaks in and cook for only 1 minute on each side, once done remove from the heat and leave to rest on a plate. While the steaks rest turn the heat down to medium on the griddle pan. 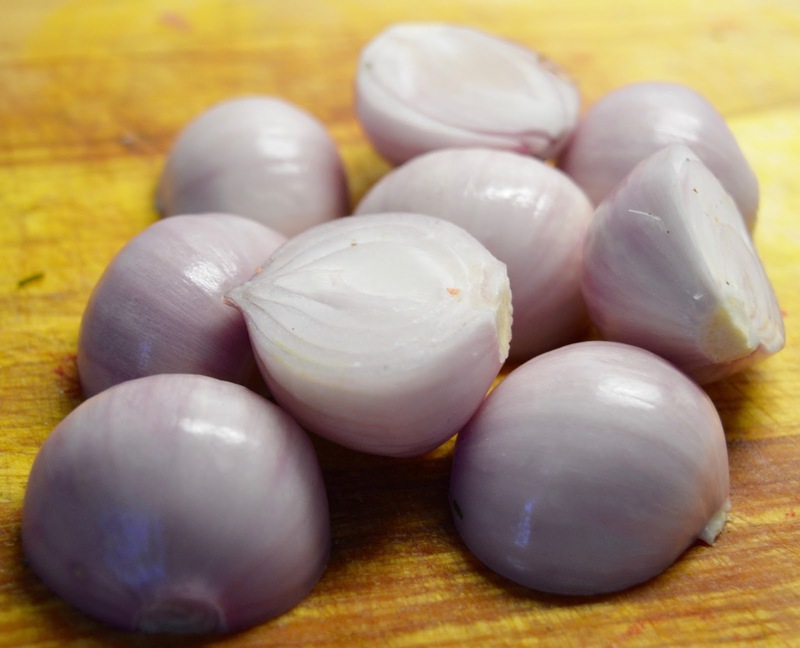 Peel the shallots and chop them in half lengthways. Cook in the griddle pan with a little oil and cook for around 10 minutes until they have softened and are slightly charred. By now the pan of vegetable oil should be hot enough to cook your crisps, do them in batches of around 6 slices a time and put each batch onto a sheet of kitchen roll to drain off any excess oil. 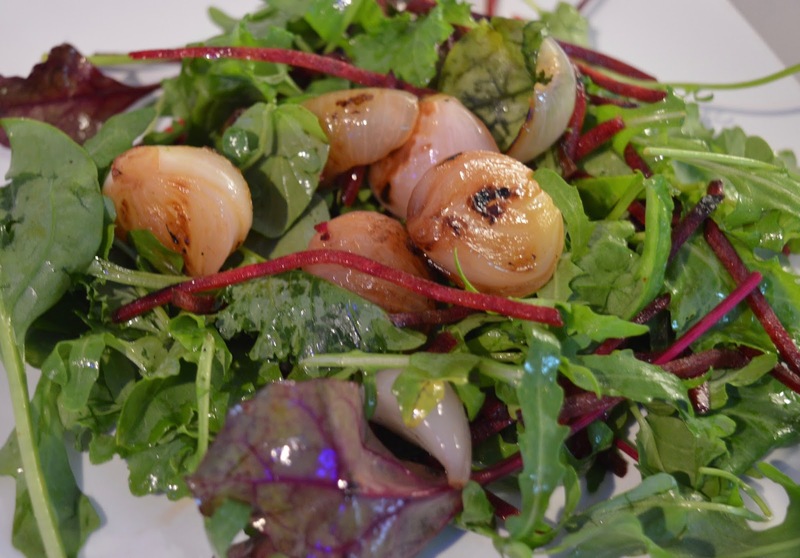 Peel the 2nd beetroot and chop this julienne and put in a bowl with the salad leaves and shallots. Mix the vinegar and 3 tbsp of oil to make a dressing and toss this with the salad. 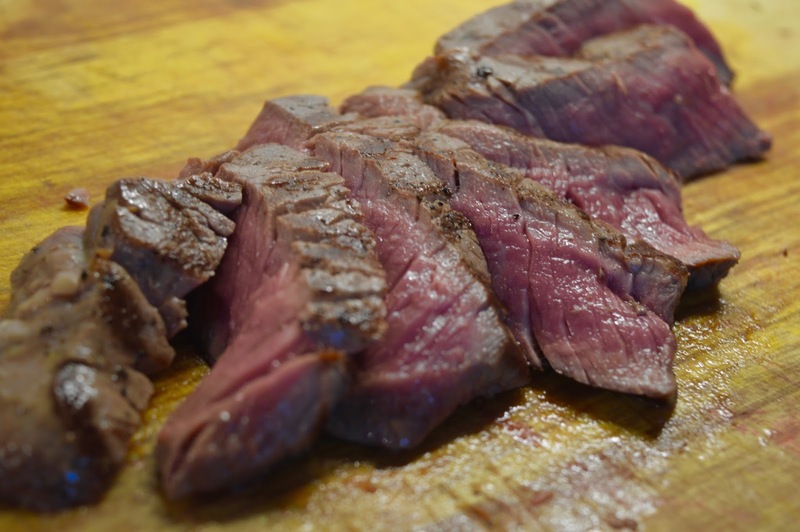 By now your steak should be suitably rested and cooled so slice with a sharp knife into thin slices. 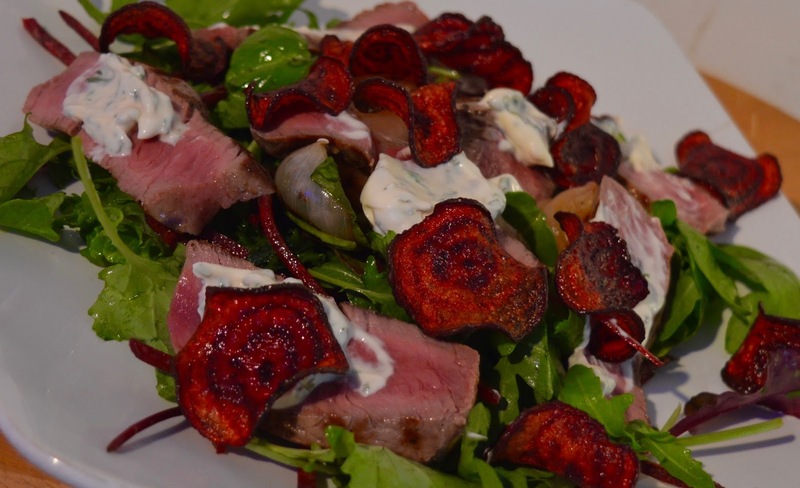 Mix the creme fraiche, horseradish, tarragon and chives in a bowl and spoon a little bit onto each slice of steak and then scatter the beetroot crisps over the salad and you're done. Let me know what you think of this recipe and what your favourite salads are. 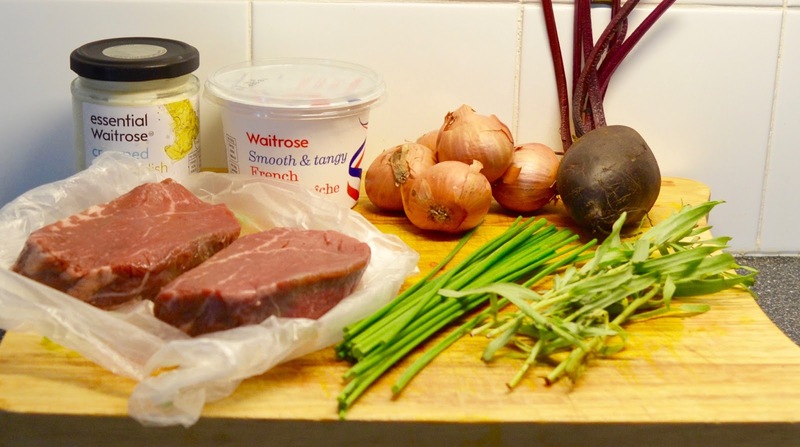 I'm linking this recipe to 'Simple and in Season' recipe link up with Feeding Boys. It was inspired by this BBC Good Food Recipe.